Dave dealt a new game – Cards Against Technology – designed by DelCor to facilitate technology knowledge and conversations among the C-suite. Brian and Chris went beyond the basics to uncover security concerns associations need to address now. 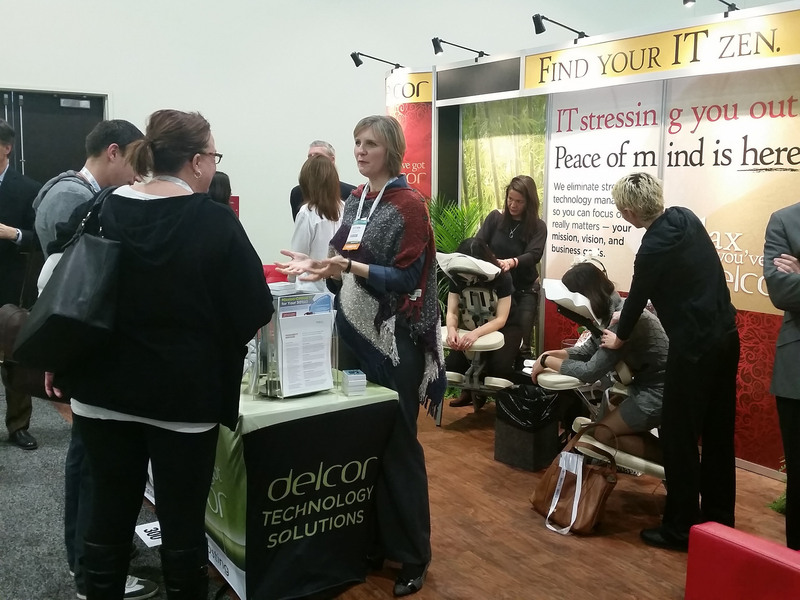 In the expo hall, we set out to help attendees find some IT zen with in-booth massages and expert advice. I had some lively conversations with folks from Columbia (MD) to Canada! We were pleased to award our booth prize – Bose QuietComfort noise-cancelling headphones – to help Jimi Skelly of HRS find his personal zen zone. If you missed the booth and need a calming moment of your own, drop us a note and we’ll send you some lavender and vanilla stress-relief lotion. 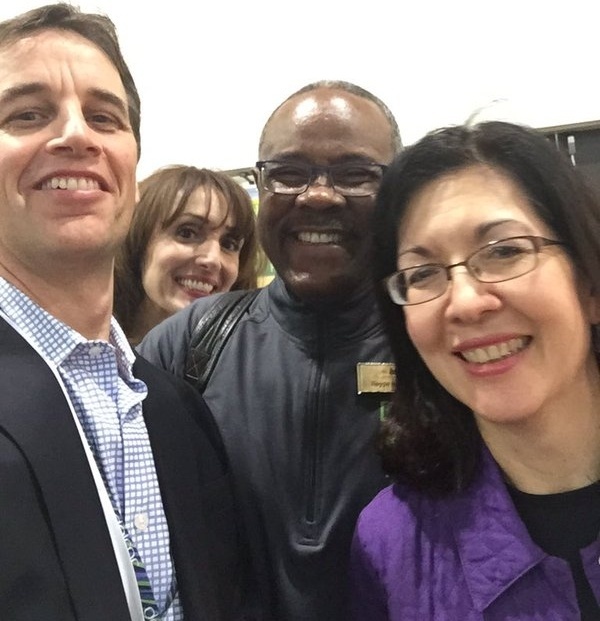 We weren’t just speakers and exhibitors; we were attendees and listeners, too! Chris learned some things about the new EMV card chip technology from one of his co-presenters, especially related to liability as outlined in this article.